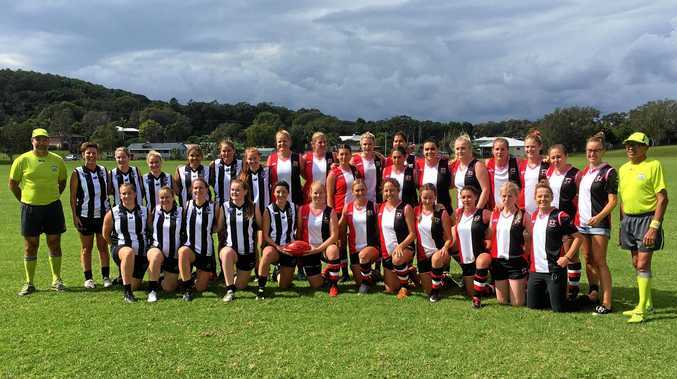 The players from Port Macquarie and Sawtell/Toormina line up for an historic photo prior to the first AFL North Coast women's match being played on Saturday. AFL history was made at Richardson Park with the first competitive women's fixture. 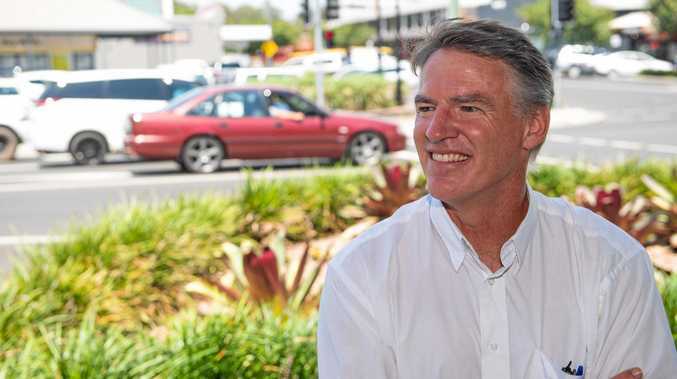 After a long build-up of development, recruitment and training, the Sawtell/Toormina and Port Macquarie teams and a healthy crowd were champing at the bit for the first bounce. It was entirely appropriate that the first goal was kicked by Alana Hanson, the region's key instigator of the women's competition. Hanson booted both of Sawtell's opening term goals as the Saints headed to the break with a narrow seven point lead. The Saints women blew the game apart in the second quarter when they kicked six goals while holding Port scoreless. The Magpies fought back in the second half to limit the scoring damage but the Saints won 10.7 (67) to 1.3 (9). Hanson finished the match with four goals for the victors and had support in front of goal from Keira Basset who kicked three.